Halloween for us was simple but perfect. We carved pumpkins Sunday night at the Wallace house. 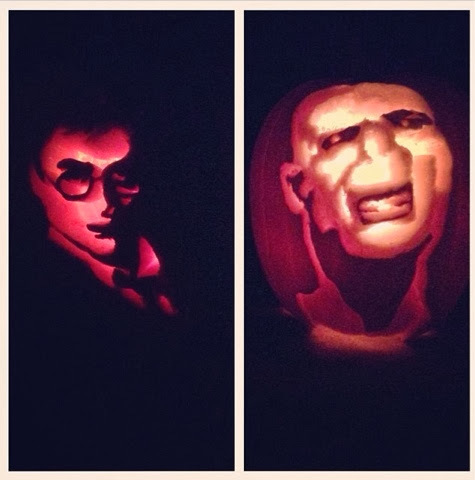 Karissa carved a Pokemon, Joshua carved an Apple logo, Nathan carved Harry Potter and I carved Voldemort. Lenise cooked our pumpkin seeds. We laughed and talked and goofed off. It was really fun. Then on Halloween, our church building had a Trunk or Treat. 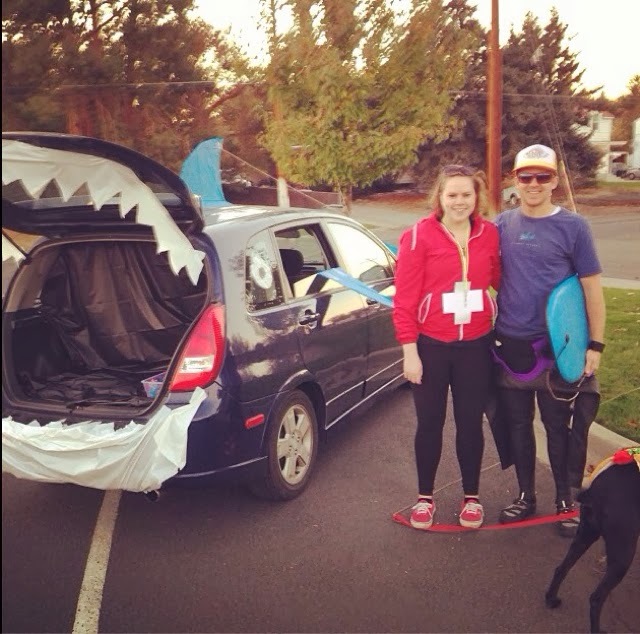 We dressed our car up as a shark, Nathan was a surfer and I was a lifeguard. 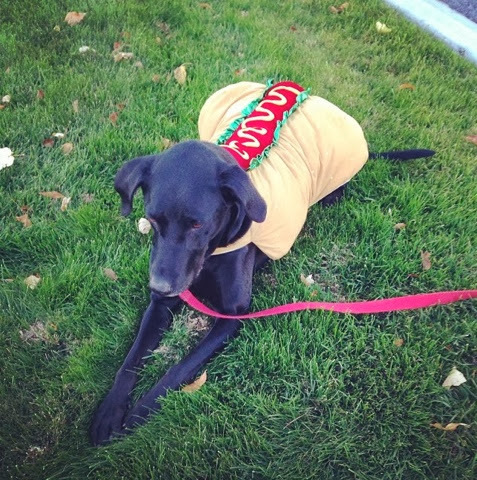 We also dressed up Bella as a hotdog. The kids LOVED Bella’s costume. I was a little sad because Bella’s costume took 5 minutes and we spent over an hour on our car. Mostly because it was breezy and our fin and teeth kept blowing everywhere. But it was still so fun to watch the little kids get excited to pet the dog, and realize our car was a shark. Here are some photos from our Halloween. I just wanted to share my family photos. 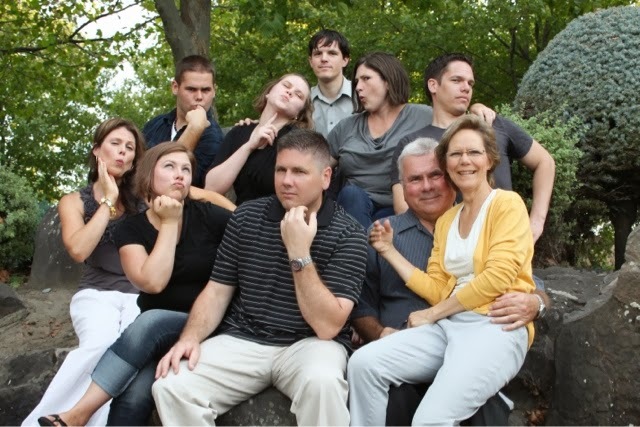 We were all together when Zachary got home from his mission. 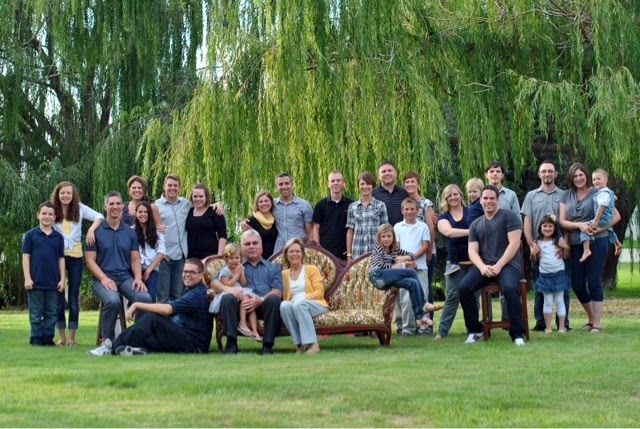 It had been several years when that last happened, our family now has 27! Holy cow. 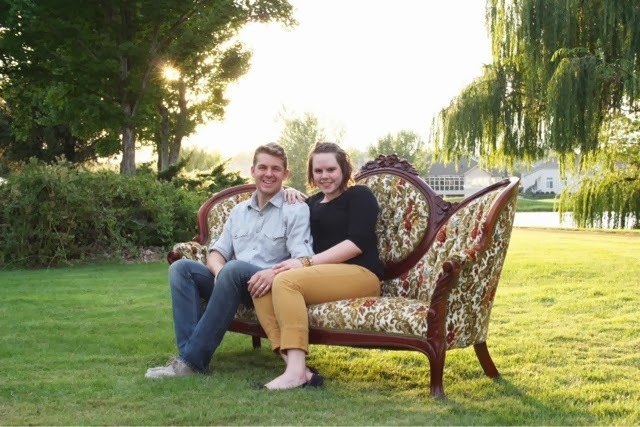 We used the couch that was part of the decor at my wedding reception, so it was fun to use it again. We used a tripod for part, and I took the rest. It was crazy, but I think they turned out great!